Toyota C-HR, with its beautifully sculptured crossover design, responsive and engaging hybrid powertrain offers a luxurious SUV drive. Explore our latest Toyota C-HR offers here. Don't just take our word for it, Toyota C-HR won both Best Small Family Car and Car of the Year in the Parkers New Car Awards 2018.
driving and living with your amazing Toyota C-HR. Service Costs Your Toyota C-HR's first service will cost £185 Inc. VAT. Hybrid Health Check Get a free hybrid health check (worth £45) with your service. Toyota Motor Insurance Peace of mind with Toyota Motor Insurance. 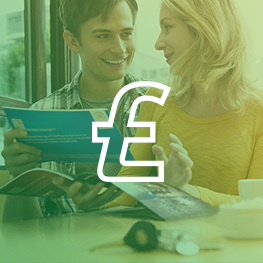 Service Plan Spread the cost of servicing with a service plan from £20.55 per month. Toyota Hybrid SUV Range Combining all the practicality of our great SUVs with the efficiency of our modern Toyota Hybrid engines. Tax Free Sales Find out if you're entitled to a Toyota tax free sale here. Toyota shopping centre events Toyota is embarking on a national shopping centre tour to spread our Hybrid message. #UrbanReflectionsMadrid To celebrate the launch of the new Toyota C-HR, Toyota challenged some of Europe’s best visual storytellers to capture the spirit of urban flow through the reflection of its new coupe crossover. Learn more about Hybrid Find out why more than 10 million people around the world now drive a Toyota hybrid. Celebrating 20 Years of Hybrid Leadership Over the last 20 years, a lot has changed – from the way we communicate and entertain ourselves to the way we see the world around us. Hybrid FAQs Find your answer to frequently asked Hybrid questions. From batteries to mileage, it's all here. Hybrid maintenance Find out how hybrid cars are no harder to maintain than conventional cars. See Toyota C-HR specifications, dimensions, and engines. 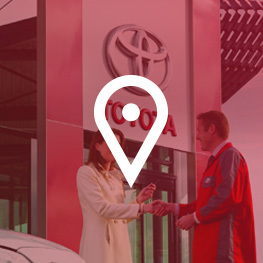 Toyota 5 Year Warranty We're so confident in the reliability of our cars that we offer a 5 year or 100,000 mile manufacturers warranty across our entire range of vehicles. Toyota C-HR - Bigger than you think. Toyota C-HR combines agile proportions with generous space. New Toyota Touch® 2 Emulator Discover the New Toyota Touch® 2 in more details with this emulator. Toyota Hybrid SUV Range Combining all the practicality of our great SUVs with the efficiency of our modern Toyota Hybrid engines. Tax Free Sales Find out if you're entitled to a Toyota tax free sale here. Toyota shopping centre events Toyota is embarking on a national shopping centre tour to spread our Hybrid message. #UrbanReflectionsMadrid To celebrate the launch of the new Toyota C-HR, Toyota challenged some of Europe’s best visual storytellers to capture the spirit of urban flow through the reflection of its new coupe crossover. Toyota C-HR in review Find out what the motoring press and owners have to say about the Toyota C-HR.